Rhinos tend to curl up their tail when they are unhappy about something. 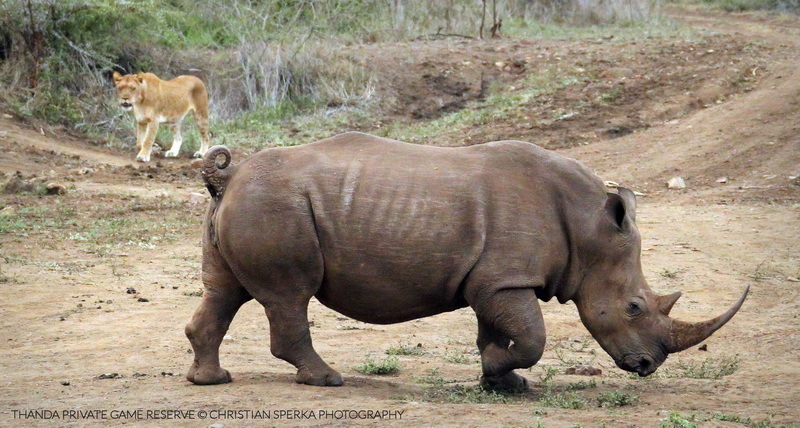 This White Rhino cow was quite upset when one of Thanda’s North Pride Lionesses interrupted her drinking session at a waterhole. 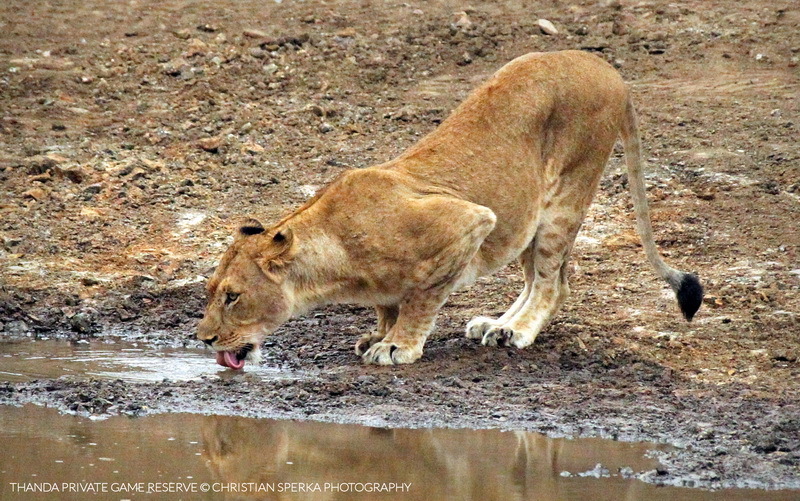 She and her calf returned back to the water after the Lioness had gotten her drink and moved on. Interaction between different species is one of the most exciting moments on a game drive!